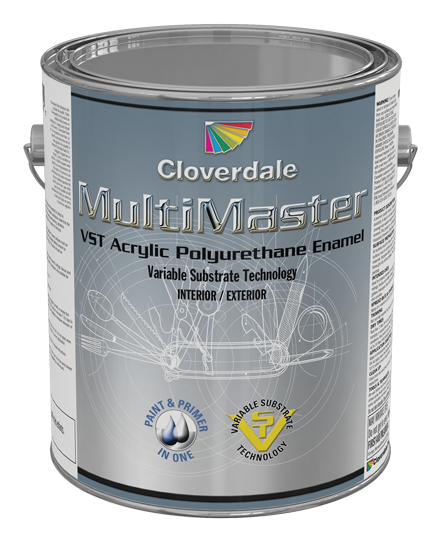 Multimaster is Water-borne Acrylic Urethane designed for both interior and exterior applications. Formulated with our VST (Variable Substrate Technology), this universal coating provides both functionality and aesthetic value in a low odor, non-flammable formulation. This quick dry product can be applied by brush, roll or spray with excellent flow and leveling. This hard wearing, non-blocking product it can be used for both commercial and DIY applications and complies with Government of Canada Emission regulations under category 52.